The new facility joins the famous St Andrews Links landscape and has been designed to enhance the experience of golfers arriving to play at the Old Course. 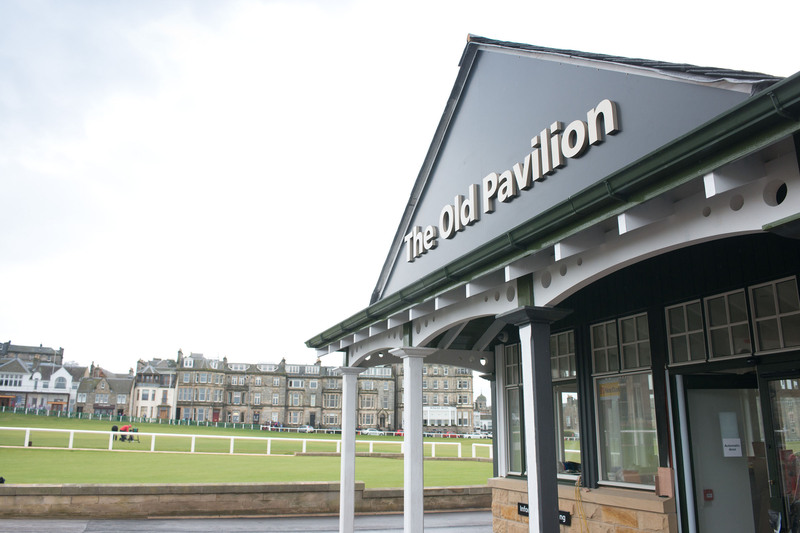 The Old Pavilion at St Andrews Links has officially opened after the Provost of Fife struck a ceremonial putt to mark the occasion. The new facility, which has been joined by the new Caddie Pavilion and a new Public Shelter following the five month project, joins the famous St Andrews Links landscape and has been designed to enhance the experience of golfers arriving to play at the Old Course. The official opening mirrored one hosted on the Links 100 years ago when following the reclamation of land from the sea to form the Bruce Embankment a putting green was opened in 1914 by then Fife Provost John Herkless when he struck a ceremonial putt. 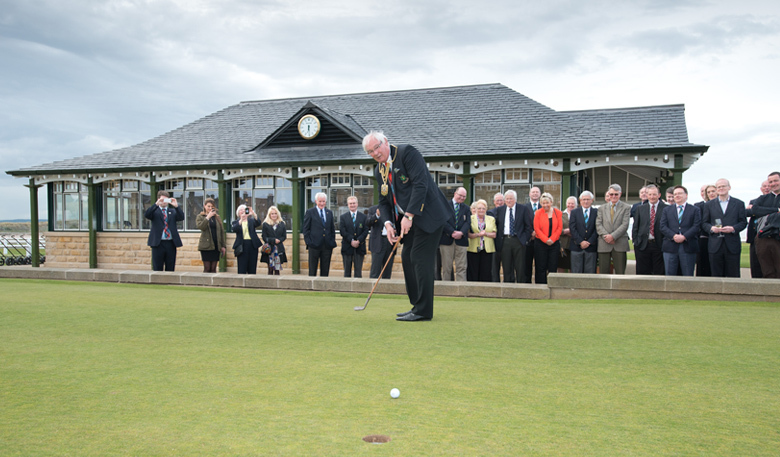 Provost Leishman MBE, who is also a trustee of the Links Trust, replicated the ceremonial putt, marrying the old and the new by using a 100-year-old putter and modern golf ball. He said: “It’s a real honour to be invited along to officially open The Old Pavilion and mark the completion of this fantastic project, including the Caddie Pavilion and new Public Shelter. 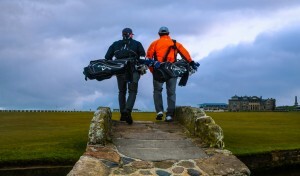 St Andrews Links Trust Director of Golf John Grant said: “This project has been designed from start to finish with the intention to improve the experience of every golfer arriving to play the world’s most famous Links. As well as offering enhanced facilities from golfers near and far visiting the championship Links, it is hoped the addition of a turning circle to the rear of the building will improve vehicular access and reduce congestion on the town’s Golf Place. 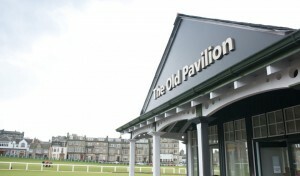 The project has been subject to extensive consultation and replaced the former caddie pavilion, near the first tee, with The Old Pavilion, complete with improved toilets, a bag drop facility and information point. Work has also been carried out on a new Caddie Pavilion, which has been constructed on the site of the Bruce Shelter, offering the Links licensed caddies and members of the golf department improved facilities along with a new Public Shelter, overlooking the West Sands and Home End. Alterations to fencing and associated landscaping and footpaths have also been carried out in line with the work. The design of both structures is in keeping with existing Trust facilities, including the 18th Green Shop and existing Caddie Pavilion, in order to give a sense of unity in design. Full changing, dining facilities and a shuttle service to the first tee are still available at the Links Clubhouse.